I work hard to shape an artist's sound and image as well as help achieve their vision for their music. Specializing in Hip Hop, Pop R&B & Pop, Instrumentals (But not afraid to step outside of my normal genres at all.) With my services I offer artist development with my main focus on helping them perfect: flow, delivery and and song composition as well as provide mentorship to any artists that I work with. I assist in the arrangement of their vocals, to bring their songs from start to the best finished product possible. I am an experienced audio engineer with knowledge of mixing and mastering. I work in Pro Tools, Reason, and many other software applications used for producing. .
A: I do majority of my work on my late model MacBook Pro. I have a Mbox 3 with Pro Tools. I do most of my production in Protools using virtual instruments unless a song calls for live instrumentation, I'll outsource if I need to. I also own FL Studio, and Reason just in case I want to use the sounds that come from them. I do most of my mixing in ProTools as well. I use Waves Mercury Bundle which has 100's of different plugins to achieve high quality mixes. I sometimes use Izoptope Ozone 6 Advanced to mix vocals. Everything gives a different color, so I try to have all of the latest software for production and engineering. A: I'm most proud of the work I did on a 2 Live Crew project. My role was beatmaker, co-producer, and assistant engineer. I'm so proud of it because even though I didn't executive produce it, I played a big part in the overall sound of the project. Not only that, I got to work with a legendary group from my area. I still have a great relationship with those guys, which made me proud to be a part of that process. The executive producer also played a BIG part in my progression as a producer/engineer. He has around 10 platinum and gold records, so for him to approve of my work, and give me pointers to improve my sound, man that was super cool! A: I am currently producing, mixing and mastering tracks for clients from California, Miami, New York, all over! I'm just making music and having fun doing it. A: I really have no preference. Whichever works for the project I have in front of me at the moment, I'm going that route. A: I promise to go the extra mile to make sure your music is the way you want it, and to the highest possible quality it could be. A: The ability to be creative when it comes to a client's music and most of all client satisfaction. A: How long have you been making music? 10-20 years in total. How long will it take for you to finish my work? 3-5 business days, depending on how many songs I have to do for you. What do you think of my song? I tell the honest truth if its good or bad. A: That it an easy 1-2-3 step process. Trust me, it's not. A: What DAW do you use to record? Did you produce the instrumental and do you have the stems? When you wrote the song you need a beat for, what was your vision? What emotion do you want to evoke with this record? What do you look for in a producer or engineer? A: Make sure you know exactly what you need and want done, most importantly make sure that person can deliver those needs. Are you willing to trust that producer's experience/judgment when it comes to your songs? A: MacBook Pro, MPC 4000, 2tb Hard drive, Keystation Mini 32 Key, and my Sennheiser 380 Pro headphones. A: I've been involved in music since I was 9 years old. I wrote my first ever song at 9 (I still have it too, lol). I dabbled in being a performing artist for maybe 8 years, until I couldn't get production anymore. I took the initiative to learn production and I eventually left the whole artist thing behind. I attended Full Sail University for a while. I have a total of maybe 10-20 years in the field of music. Ranging from writing songs, to writing hooks, performing at shows, producing full projects for local artists, tried to be a DJ, got into engineering once I started at Full Sail. A: T-Pain. He is an amazing songwriter and producer. He's so creative and edgy at times, I think we'd make some great music together. A: Garbage in, garbage out. If you don't get recording takes, or use high quality sounds when crafting songs, the probability of the quality suffering will be very high. Take your time! No need to rush anything, quality takes time. A: Hip hop, R&B, Pop, Instrumental. A: I listen very well. To clients instructions, to reference tracks, to rough drafts. I'm very good at listening. A: Energy, creativity, a few years of experience in different fields of music. I used to be an artist for quite a few years, I hang around Dj's and Radio Programmers. Just experience as a student and fan of all types of music. A: T-Pain, Pharrell Williams, Dave Pensado, Derek Ali, Ken Lewis, Zaytoven. Most of the clients I've gotten the opportunity to work with have inspired me as well. I've ran into some very very talented people. 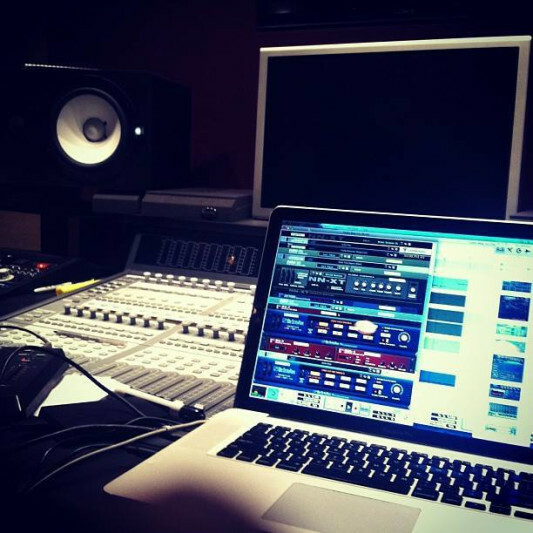 A: Produce original music, Mix and master songs, Edit and clean up vocals for vocalists. I allow up to 4 mix/master revisions, unlimited revisions on beat production, typical turn-around time 3-5 working days depending on the size of the job.